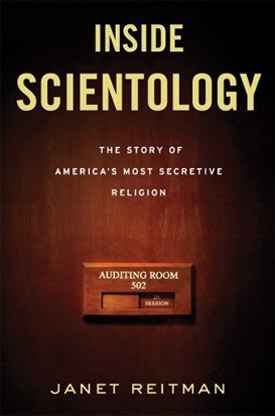 In this one hour radio interview, journalist Janet Reitman discusses Inside Scientology, her comprehensive five-year investigation into the Church of Scientology. 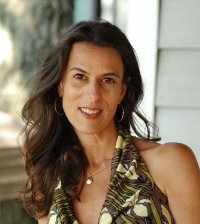 Janet Reitman appeared on The Bat Segundo Show #399. She is most recently the author of Inside Scientology. In today’s Washington Post, Howard Kurtz reports the alarming news that three “journalists” — Steve Weinberg, Russell Carollo, and Christopher Szecheny — were paid money by the Church of Scientology to examine the St. Petersburg Times‘s “conduct.” This ad hoc “investigation” was commissioned because the newspaper has devoted considerable resources to examining the ostensible religious organization. But the new study is highly suspect. Weinberg reveals in the article that the final results may be withheld from public dissemination, should the Church not find the report to its liking. And in Weinberg’s case, this condition is especially duplicitous — given that his last book was a volume on the brave journalist Ida Tarbell. Let’s clarify why this is a dark day for American journalism. A journalist is someone who typically goes out of his way to remain as impartial as he can. If he investigates a story, he is very careful not to accept remuneration from any of the parties involved. He remains ideally a third party. He must, if he is to remain ethical, investigate all sides of the story and remain as transparent as possible. Numerous newspapers have established codes of ethics, which can be readily perused online. Staff members and those on assignment for us may not accept anything that could be construed as a payment for favorable coverage or for avoiding unfavorable coverage. They may not accept gifts, tickets, discounts, reimbursements or other benefits from individuals or organizations covered (or likely to be covered) by their newsroom. Gifts should be returned with a polite explanation; perishable gifts may instead be given to charity, also with a note to the donor. In either case the objective of the note is, in all politeness, to discourage future gifts. Thus, by nearly every professional standard, Weinberg, Carollo, and Szecheny have failed. Even if they consider what they do to be “objective,” they have accepted payment from one of the key parties. They have entered into a business relationship with one of their sources. They have willfully thrown away their integrity for these numerous conflicts of interest, taking the Church of Scientology’s money to give it the report that it wants. And the lack of transparency on the Church’s part leads any reasonable outsider to conclude that the motives here are far from noble. Carollo and Szechenyi explained to Kurtz, “Every entity has the right to receive fair treatment in the press.” And while fairness is certainly a laudable standard, this statement rings hollow when one considers the conditional nature of this pursuit. When Weinberg confesses, “I can certainly use the money these days,” he demonstrates unequivocally what his real motives are. And the whole exercise becomes a willful distortion of journalism, where news stories are sold to the highest bidder. The truly sad thing here is that Weinberg sold out his principles for a pittance — a mere $5,000. Because of these disgraceful indiscretions, these three men have capitulated their right to be identified as journalists. They no longer have the right to be taken seriously by any major news organization. And if their bylines are to be found within newspapers again, then readers must reject these names as bona-fide upholders of the Fourth Estate.